4'x4' square thatch cover, baja. Handwoven in central Mexico. 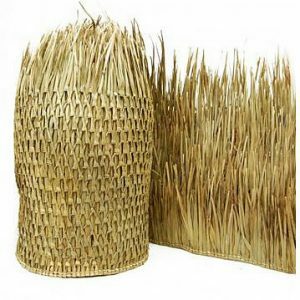 Each of our company’s installations use a double-layer of this thatch to get the thick-plush look, and to provide excellent protection from the elements. While you may order a single baja top, we STRONGLY suggest that you purchase two for the standard double-layered look and quality, we insist on for all of our projects. Many of our competitors do not insist on this, and you will see an inferior product, and shorter longevity due to this. Traditional style – handwoven in central Mexico. Does very well in windy areas as the weave permits air circulation. Staples easily to wooden framed structures. We use a standard double-layer for our structures to get that thick, plush look, however if you prefer a single-layer instead, that is an option as well. Staple it (don’t tie it) onto your structure. To calculate the sizing, plan so it hangs over the edge of your palapa a few inches. A double-layer has a 3 1/2 years in most California climates, and 5+ years in desert or dry climates like those in Nevada, while a single layer usually has about one third of that life-span. 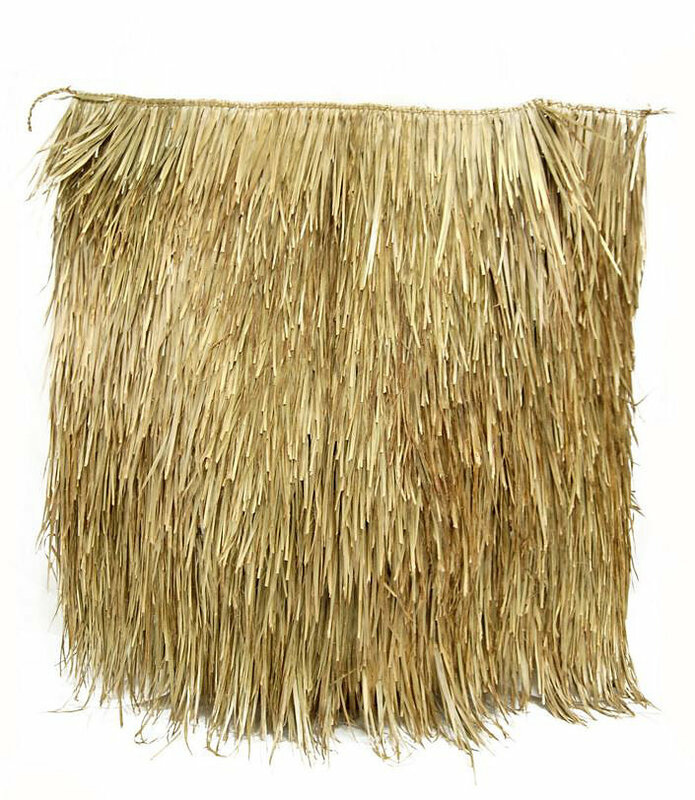 Mexican thatch panels were originally called “rain capes.” These garments were woven from palm leaves and worn to protect ancient cultures from the elements of climate. A palapa (a Spanish word of Mayan origin, meaning “pulpous leaf”) is an open-sided dwelling with a thatched roof made of dried palm leaves. It is very useful in hot weather and, therefore, very common in Mexican beaches, such as in Acapulco. It is perhaps one of the most important architectural contributions of Philippine culture to Mexican West cultures. Palapas are also common in Honduras and other Central American countries.